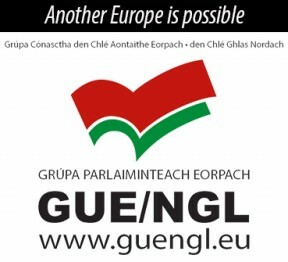 The Sinn Féin Ard Chomhairle last week decided that Sinn Féin will work as part of the European United Left/Nordic Green Group (GUE/HGL) in the European Parliament. 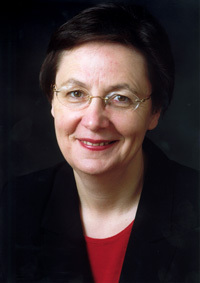 The Group, according to its president, Francis Wurtz, is "made up of individuals representing as any different types of left as exist across Europe". It works on the basis of respecting the differences between its members while seeking to find common ground, because, says Wurtz, "beyond our differences, we are all progressives and we all want to see serious change in Europe". Sinn Féin's membership brings the Group's strength in the Parliament to 41. Welcoming the Sinn Féin MEPs, Wurtz said: "I have no doubt that Sinn Féin will fit well with our Group. Their priorities of defending public services, refocusing the so-called "Lisbon Agenda", eliminating poverty, protecting the environment, and promoting equality and global social justice are causes close to the hearts of all our members. "Sinn Féin membership will reinforce our political identity as one of the most energetic, innovative and progressive Groups in the European Parliament. We hope to benefit from their expertise on conflict resolution, on defending civil rights, and on advancing politics out of stalemate and into compromise." On Wednesday, speaking to An Phoblacht from Brussels on their first trip as MEPs to the European Parliament, Bairbre de Brún said that they had been warmly welcomed by their new colleagues, who had shown a lot of interest in the fact that both Sinn Féin's MEPs are women. Speaking to the media in Dublin prior to their departure, Sinn Féin MEPs Bairbre de Brún and Mary Lou McDonald set out the party's priorities in Europe. "This is a very exciting and challenging time for Irish republicans. We are the third biggest party in Ireland, with more than 342,000 voters. For the first time we have representatives elected to the Dáil, Assembly, Westminster, local councils across Ireland and the European Parliament. The work and priorities of all of these elected representatives are the same - to represent our constituencies, to advance the peace process, build for Irish unity and work for equality in Ireland and across Europe. "We enter the European Parliament as Sinn Féin MEPs mandated to deliver on our agenda for change and to deliver for Ireland. This means working effectively both inside the Parliament and in Ireland. "In Europe we will work through the European United Left/Nordic Green Group - a very effective and progressive group within the Parliament, which does not operate a whip system, ensuring that for us it is Sinn Féin's and Ireland's priorities that will come first. We will also continue to engage with the widest possible range of MEPs and groups across Europe to advance our agenda for change on EU matters, the peace process and Irish unity and independence. In terms of committees our priority are those dealing with employment and industry, agriculture and rural regeneration, human rights and equality. "In Ireland, we will continue with the extensive outreach work with which we have been engaged for some time now with local communities, women's groups, trade unions, voluntary organisations, business sector, farming organisations and justice groups. Our emphasis will be on communicating and consulting. We want to demystify the role of MEPs and to develop mechanisms whereby that position can be used as a conduit to empower local communities. "We also want to see all 16 MEPs elected on the island working together in the interests of all of those who elected us. And in the Dáil and in the Assembly we will work with Sinn Féin TDs and MLAs to ensure that European matters are discussed and scrutinised. It is essential that the British Government's suspension of the Assembly is ended immediately." "Sinn Féin stands for change in Ireland and the EU. Our campaign slogan in the election campaign was 'an Ireland of equals in a Europe of Equals' - the changes we want at EU level are no different from those we are pursuing here in Ireland. "We have a vision for an EU that respects the democratic rights of the people of each member state. We want an EU that promotes equality among people and nations, an EU that works for the just and peaceful resolution of conflicts in Europe and beyond. We believe that the enlarged EU must adopt a new set of priorities including the elimination of poverty within its borders and the reform and strengthening of the United Nations to advance justice and peace in the wider world. "We also want the EU to become a partnership of equal states. We oppose current attempts to turn the EU into a superstate or a military and economic superpower because we value Irish sovereignty and Irish neutrality. We know that the EU reflects the political agenda of the big States, the unelected Eurocracy, and big business. But it can be changed, and it should be changed. As part of this we will be engaging in widespread debate on the EU Constitution in the time ahead."